On Sat, Jun 21, 2014, after shopping at the Toledo Farmers Market and the nearby Libbey Glass outlet store, both located in the Warehouse District of downtown Toledo, we bought a Garbage Salad and a cookie from the new Grumpy's truck. The Garbage Salad could be Grumpy's best-selling restaurant item. It's delicious, especially paired with the Grumpy's poppy-seed dressing, which they sell in area stores. 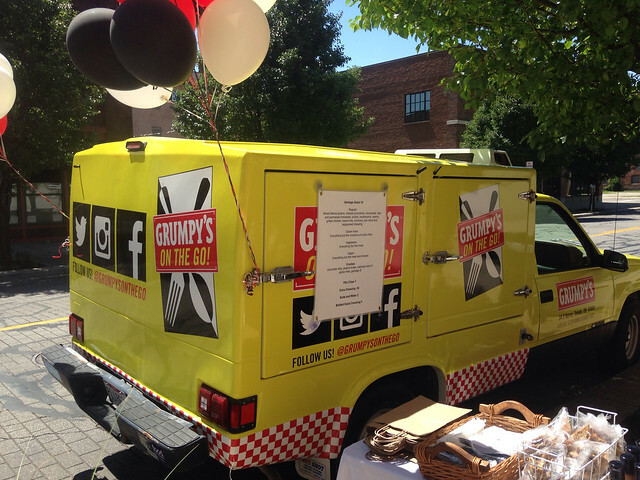 The Grumpy's truck was parked outside of Grumpy's restaurant, located near the farmers market. Grumpy's restaurant is closed on the weekends, so the new Saturday truck is a nice addition to our downtown shopping. 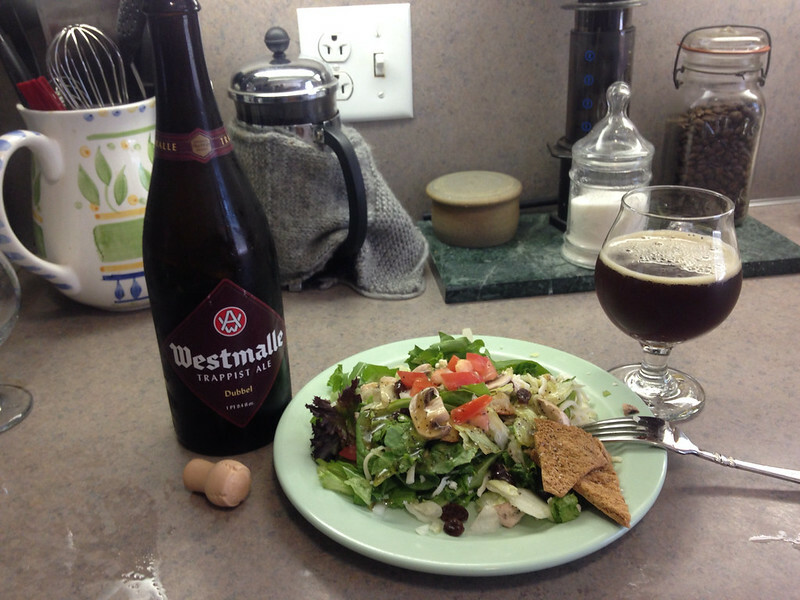 A great salad deserves a fine Trappist beer, served in our new Libbey glassware. 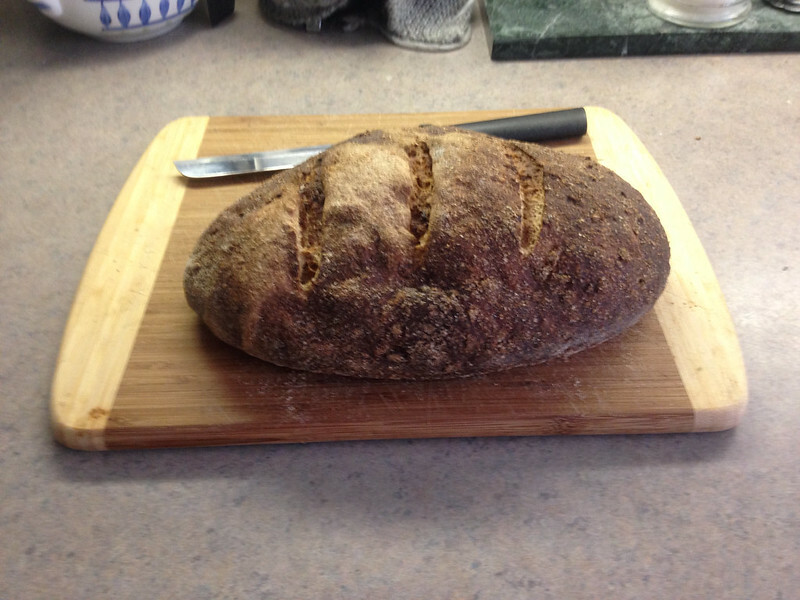 Along with the salad, I munched on this tasty honey-wheat bread, made by All Crumbs Bakery, which sells at the Toledo Farmers Market.